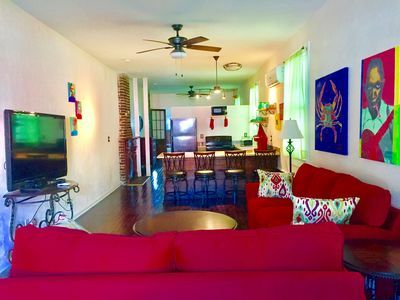 The Superdome Penthouse is perfect for families and groups alike. 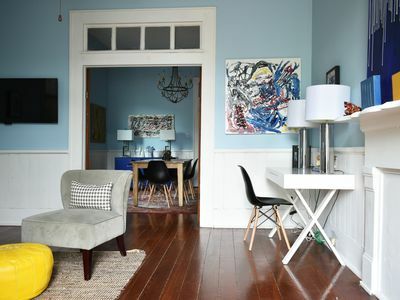 This spacious three-bedroom, two-bathroom penthouse condo is located in central New Orleans. 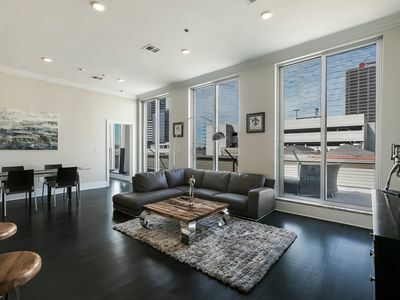 Floor to ceiling windows show the view of downtown New Orleans and allow entry onto the large terrace. 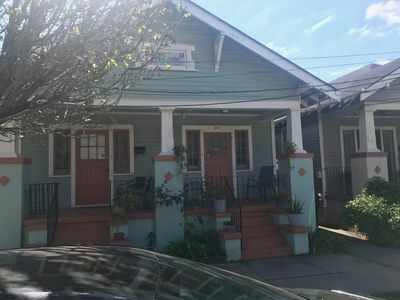 Located in walking distance to the Mercedes Benz Super Dome, Smoothie King Center, and a multitude of exquisite restaurants, shops, and booming nightlife you are guaranteed to experience what New Orleans has to offer. 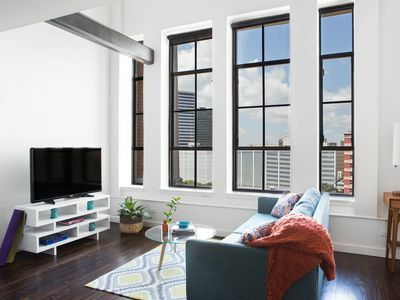 The penthouse features an open-concept living, kitchen, and dining area, accented by city scape views from the large surrounding windows. 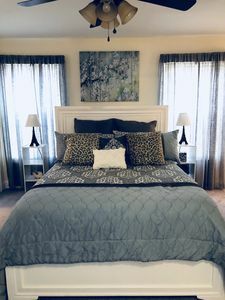 Two of the bedrooms are furnished with pillow top queen-sized beds with plenty of closet space, while the master suite features a pillow top king-sized bed and stunning bathroom. 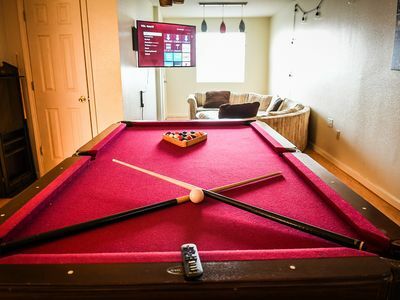 You can find large flat screen TVs in each of the bedrooms and in the living room, ready for all of your entertainment needs. 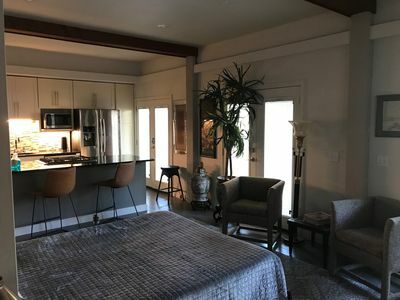 Cook and dine easily in the fully furnished kitchen, equipped with appliances and cookware and dining area available to seat eight guests or ask us for options to bring a chef to cook for you and your guests! Each spa-like bathroom is supplied with complimentary toiletries and towels. The master en-suite features a fully marble shower and bathtub with surrounding shower heads, while the second bathroom features a marble sink and tub surround. 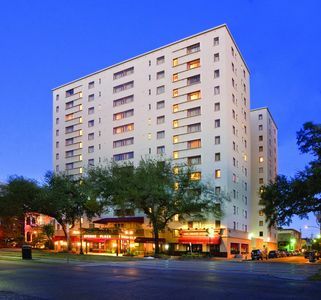 Guest Access – Each guest will receive full access to the comforts of the penthouse suite through a front door key code. 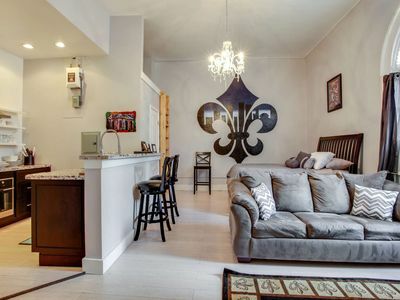 Rest easy knowing the comforts of home and the amenities of a luxurious penthouse suite are at the touch of a finger. 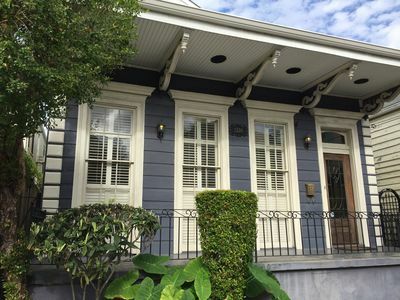 Being only two blocks from the St. Charles streetcar, this is a great way to see lots of the city - especially St. Charles Avenue through the Garden District to Audubon Park. 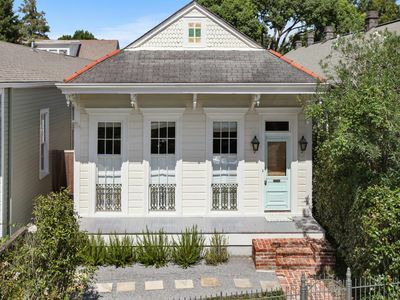 The oak lined street offers some of the best New Orleans aesthetic. Besides foot, the streetcar is the best way to get around. 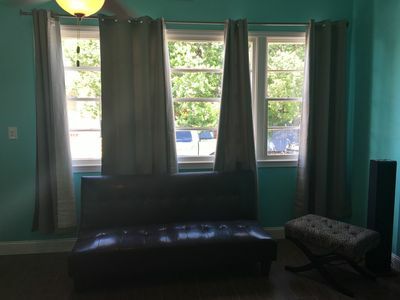 If there's anything we can do to make your stay as comfortable let us know and were happy to help. Air mattress and pack and play available upon request 48 hours prior to check-in. 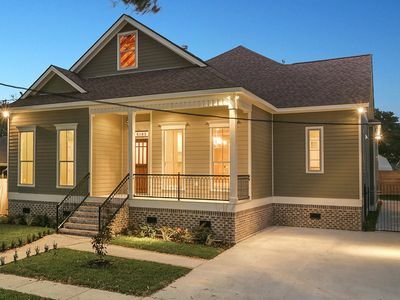 UPTOWN: Stunning home renovated 2015/16 2 blocks to Whole foods/Magazine St. 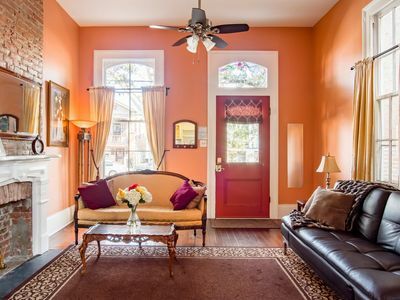 Walk to French Quarter, across from Street Car, free parking - Vacation Spot! 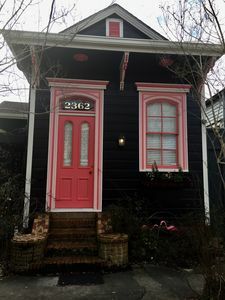 MYRTLE ST MANOR 3BR/2BA SLEEPS 6! 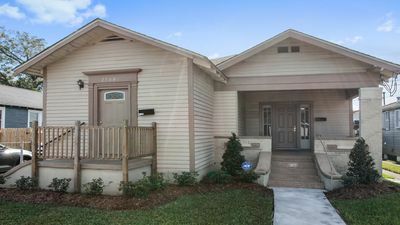 SPACIOUS 3BR FESTIVAL READY Gentilly Gem! Last Minute Discounts! 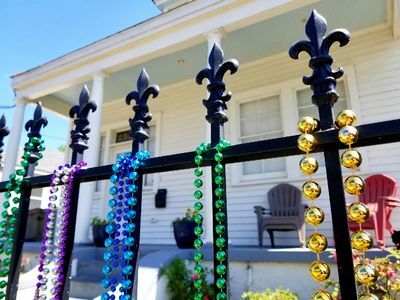 WALK OR BIKE TO THE QUARTER! 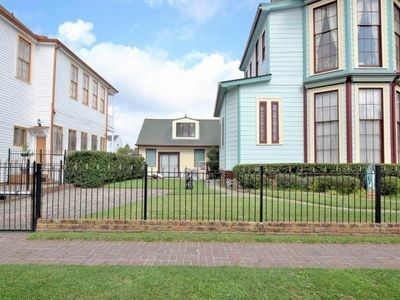 Walking Distance to Trolley! 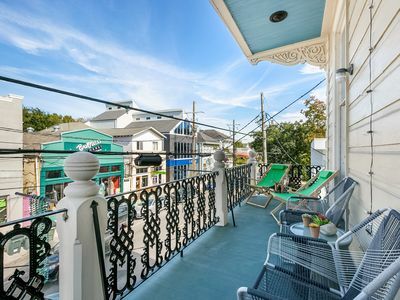 Hip Magazine Street Apartment w/ Large Balcony! 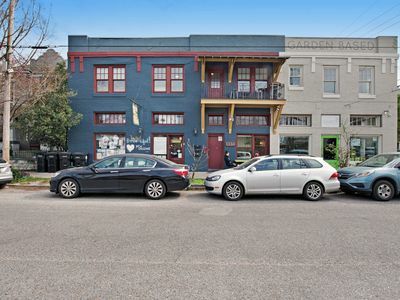 Quiet condo in the Garden District, balcony with neighborhood views!